It feels so good to be back cooking with the French Fridays with Dorie group! We returned from Hawaii and jumped straight into the 2012 school year. Information nights, homework, band practice, sports try-outs, catching up with friends and trying to establish some semblance of routine! Then there’s all the after school activities. Winding up summer sports and registering and trying out for winter sports has kept us busy! And so has enjoying the last few weeks of summer! Hanging out at the beach, the kids learning to surf and kayak. and loved the Nutelle Tartine! But I forgot to take photos of the final product! 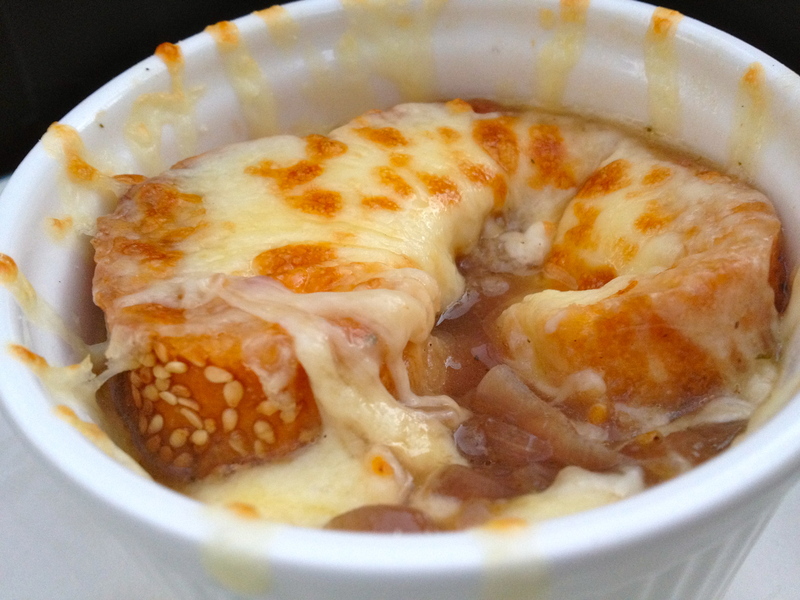 I’ve always wanted to try onion soup so I knew I had to get my act together this week! And I think it was well worth it! We all loved this week’s recipe, especially the cheesy bread on top. It added so much flavour and depth to the final product. But might wait for cooler weather next time! Can’t wait to see what everyone else at French Fridays with Dorie thought of this recipe! Tags: cooking, food, french food, french fridays with dorie, onions, soup | Permalink. Wow, you are just jumping into a school year and ours is only a few short months away from being over. Everything is lovely! Glad to see you back. 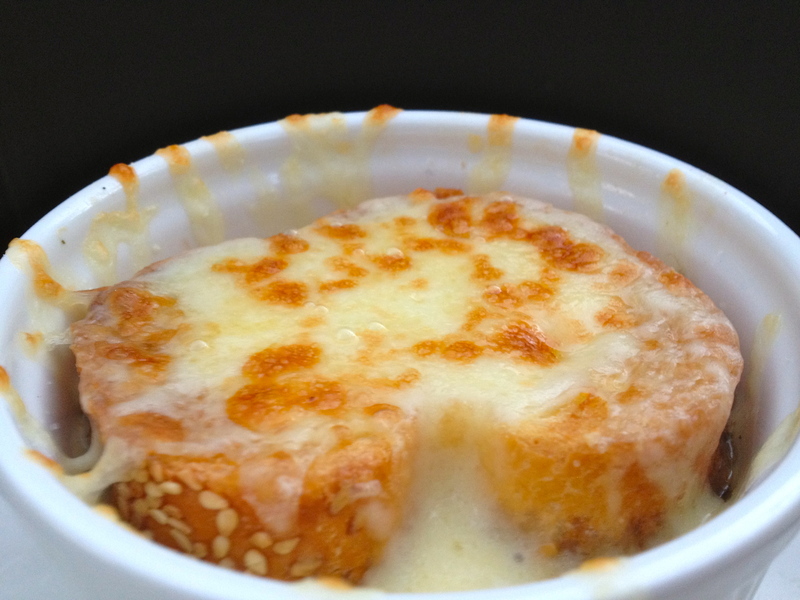 Your brioche and your soup look delicious! As usual I love your posts! And your photos are seriously lick the screen lovely. Very pretty bowl of soup…love your bread. And I understand about the heat…just coming into summer here. It’s been hot this week and we’ve not been in the soup mood. But it was tasty, just took a really long time to caramelize those onions. And, it is funny to hear about how you are winding down your summer. Always brings a smile. I love that soup… love it even more when someone else cooks it. That way my house doesn’t smell like onions for a whole week! 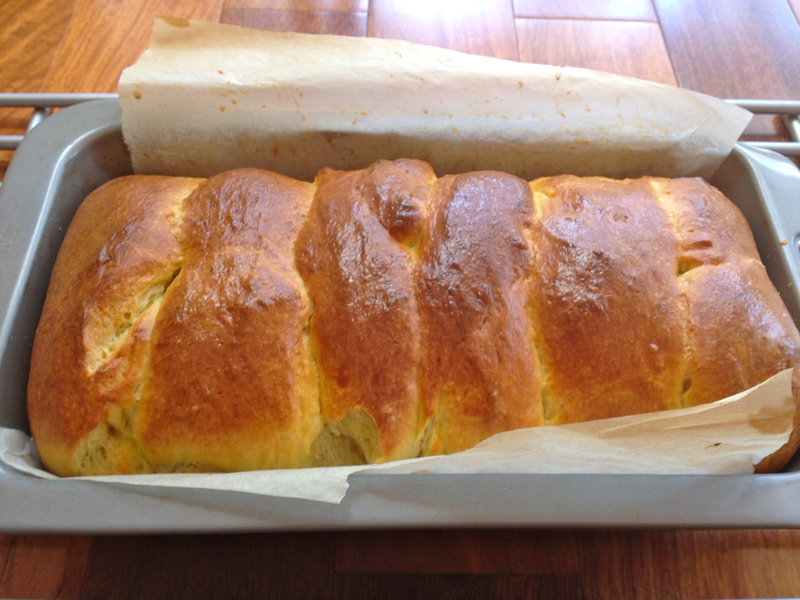 love that you made it with brioche… 🙂 looks great and golden and delicious! Your cheesy bread with the sesame seeds looks great. And the brioche too. I love how being part of this group, and having cyber-friends all over the world, I’m reminded how life is different in different places. Your coming back from summer vacation and I’m longing for winter to be over. I forget that you are in a different season than us. Kudos for you making this during hot weather! I really like the color that you got on your cheese.